When buying a camera these days you might notice that many of them come complete with the ability to project your photos via their own WiFi network. A handy thing, especially if you want to get the shots off your DSLR and share them quickly via your smartphone. But what about those of us with older cameras that lack WiFi connectivity - how ever are we going to show our friends the picture we took of a fat man in a bathing suit on the beach? Easy, with the EyeFi Mobi Wireless SD card. 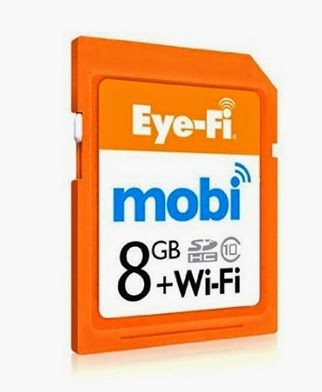 The EyeFi Mobi is a SDHC memory card that will slot into most cameras, be they small pocket shooters or full-on high-def DSLRs. 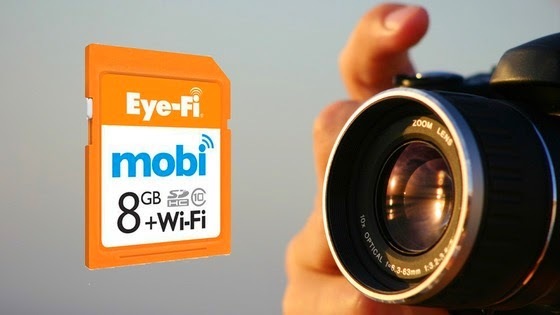 The difference here however, compared to a normal SD card you might buy, is that the EyeFi Mobi has a built-in WiFi module, allowing it to automatically push the photos you take directly to your phone, tablet, laptop or desktop. Looking just like a normal SD card, it's hard to see how the EyeFi Mobi fits that ability into such a small package - but fit it in it does, and very well indeed. There is no setup other than downloading the EyeFi app (available for both Android and iOS) which then lets you connect your device of choice instantly to the camera. Then simply start taking shots and watch as the photos automatically download to your phone. Seriously, this works really well, taking just a few seconds for a multi-megabyte image to appear. Obviously getting your high-res shots onto your mobile device is great if you need to quickly edit and then upload them to somewhere (photo journalists take note), but it is also fantastic in terms of storage. The EyeFi we were sent to test was an 8GB model, but they also come in 16 and 32GB versions. However, the tablet we were using to download the photos onto has a total memory of 128GB, meaning we never had to worry about running out of space, even when snapping extremely large files. 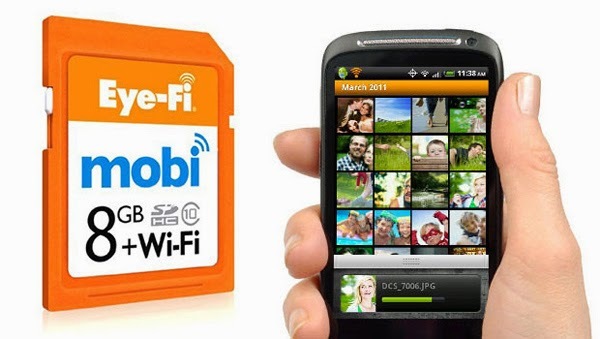 Fortunately the EyeFi Mobi also works like a conventional SD card, so without that connection to a mobile device your photos will still be saved, allowing you to pop it out and copy over in the traditional fashion. We really loved using the EyeFi Mobi, and knowing that you can pick up a WiFi card for about thirty quid will certainly make you think again about buying that pricey WiFi-enabled camera. And to prove it worked, here's the photo of the fat guy on the beach.